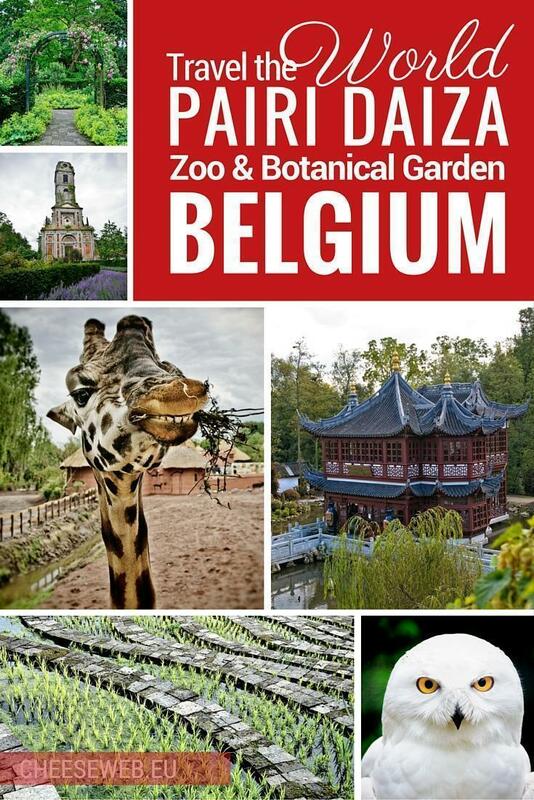 Only in Belgium could you find a globally themed botanical garden and zoo, with over 4,000 animals, on the site of a former Cistercian Abbey. Our only question is why didn’t we discover Pairi Daiza sooner? We’re always looking to promote Belgium’s ‘Hidden Gems’ here at CheeseWeb and the Pairi Daiza animal park and botanical gardens, in Brugelette, Belgium is definitely a gem. This vast 55-hectare (140-acre) park is one of Wallonia‘s top attractions, even though it’s still years from completion. 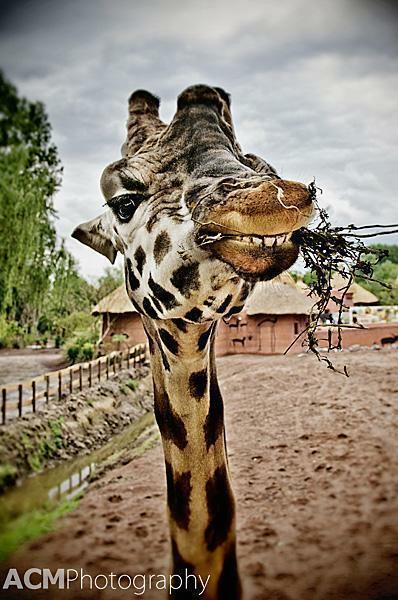 We were curious why we’d never heard of Pairi Daiza before one of our readers recently tipped us off. Part of the confusion may come from a name change which happened in 2009. The zoo and garden was known as ‘Paradisio’ until the owner decided to change the name to Pairi Daiza, which means ‘walled garden’ in Persian. Still if we were working in tourism promotion, we’d be shouting about Pairi Daiza from the rooftops. Consider this post our shout-out! 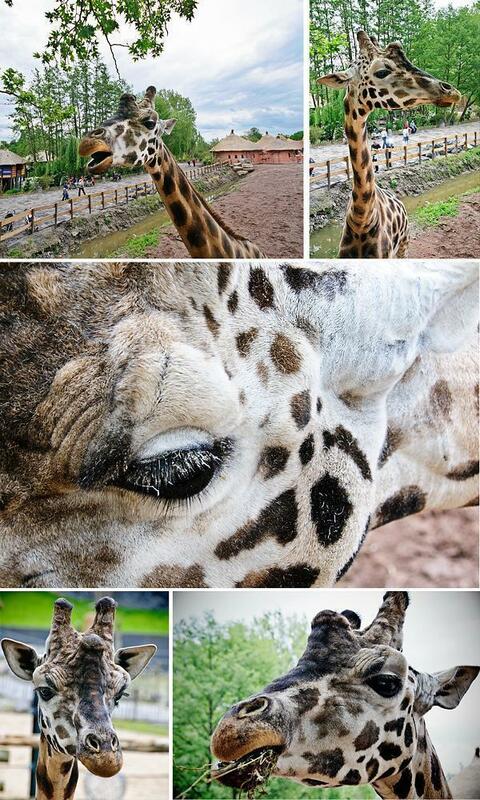 All eyes are on Pairi Daiza for the summer season. 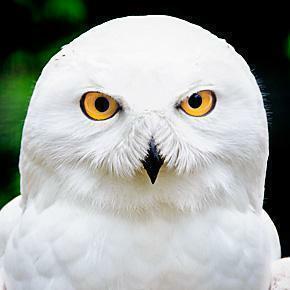 Like many attractions in Belgium, Pairi Daiza started life as an abbey. Cambron Abbey was founded in 1148, by Anselme of Trazegnies, on the Blanche River. It was one of the wealthiest monasteries of Hainault and at the end of the 14th century, was home to about 70 monks. The abbey was dissolved in 1797 and the property was sold to the Counts of Val de Beaulieu who owned it until 1993 when it was sold to the current owners, the Domb family. 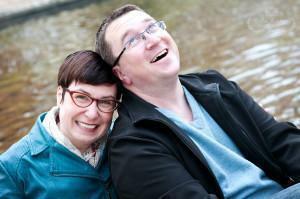 The Dombs set up the zoo, originally a bird garden, and it has been growing steadily since. The grounds of Pairi Daiza are divided into different areas, based on particular countries around the globe. In each area, you find architecture, gardens and animals from that part of the world. 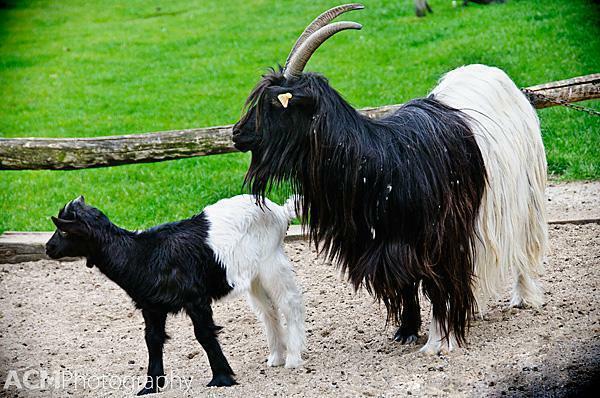 We were greeted at the front gate by these split-personality goats. You can visit Red Panda’s in the China themed area, which opened in 2006. 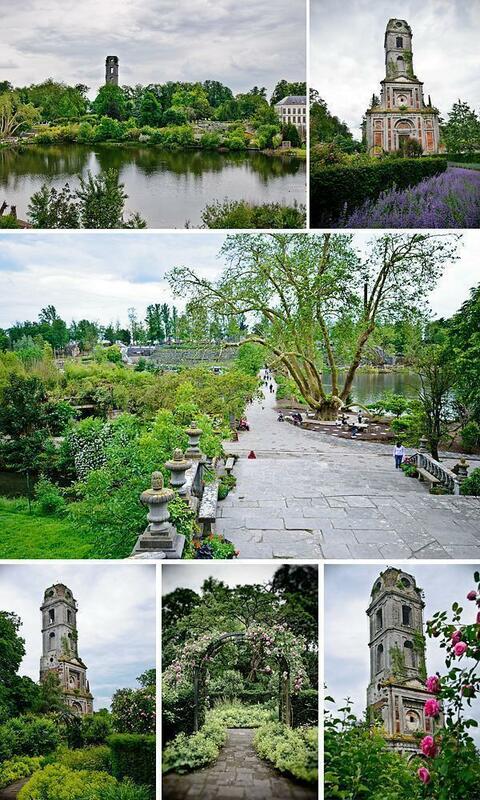 The Chinese garden here called the “Dream of Han Wu Di,” is the largest in Europe. For me, a highlight was definitely the African plain section. Here I got to come nose to nose with a friendly giraffe. She even let me pet her nose and head… Best. Day. Ever! This smiling gal (?) came in for a head pat. Next door to my smiling giraffe was the most adorable baby elephant. It was feeling a little frisky and entertaining itself by kicking a ball with its hind leg and then scampering away while trumpeting through its trunk. If you’ve never seen a baby elephant scamper, it’s a pretty adorable sight. Located beside the elephants was the incredible Kingdom of Ganesha, which opened in 2009. 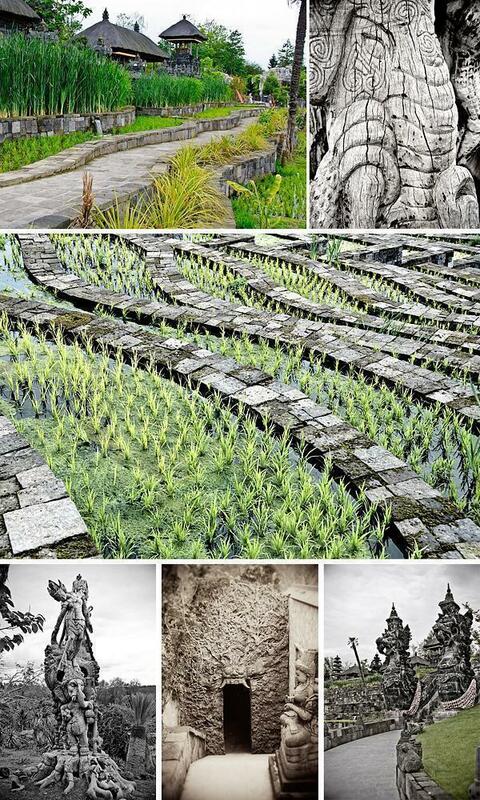 This area is the largest Indonesian garden in Europe and transports you to the temples and rice paddies of Bali. The details and carvings here are stunning. During our visit, we were also able to commune with kangaroos in the Australia section, watch squirrel monkeys dart overhead in Madidi and hang out with harbour seals in the African Lake Village. 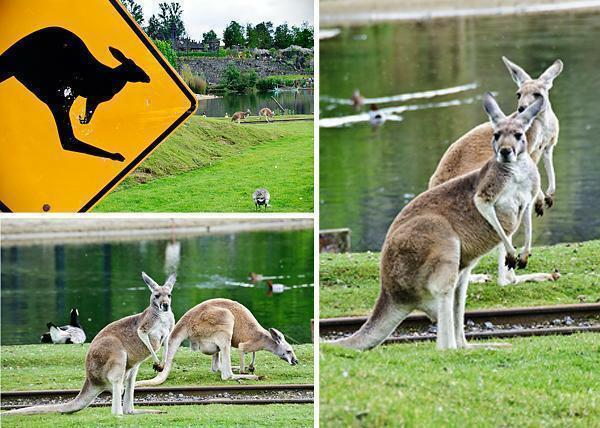 I see a Roo or two, can you? 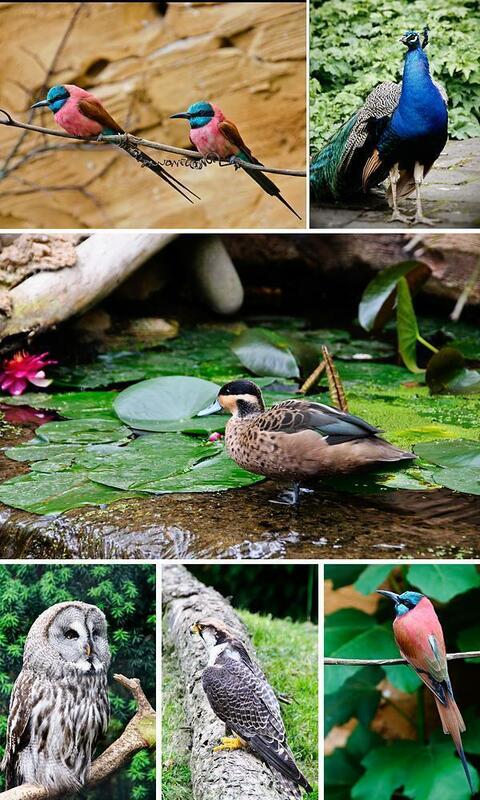 Because Pairi Daiza started its life as a bird park, as you can imagine, there is an incredible amount of bird life. In fact, the first area we visited was the Oasis, a 7000-square-metre (75,000 sq ft) greenhouse which opened in 2000. Inside there are waterfalls, a cactus garden, restaurants, a playground, and plenty of free flying birds. The White-Fronted Bee-Eaters, in particular, swooped over our heads and, as we wandered through the greenhouse, we would catch sight of brilliant flashes of colour flying by. In the middle of it all is the ruin of the Cambron Abbey tower. Surrounding the tower is a fantastic rose garden, where peacocks roam free. Pairi Daiza still has big plans for the future, including the Inca-themed Lost Horizon and a Moroccan One Thousand and One Nights overhaul for the Oasis. We were thrilled to discover this wonderful zoo and gardens. So much so in fact, we bought season passes, so we can return throughout the year. 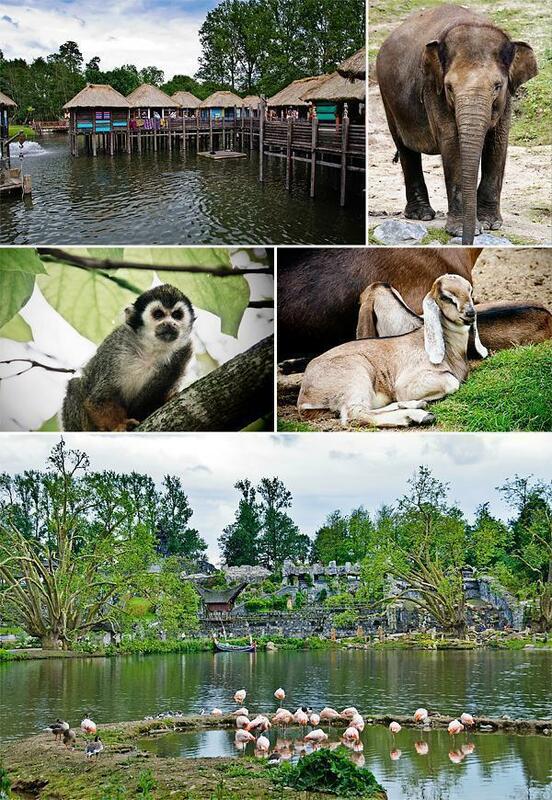 By Car: Pairi Daiza is a little over an hour’s drive from Brussels. It is roughly Northwest of Mons. Follow the E19 to the E249. From there follow signs for “Parc paradisio” (the former name) or Pairi Daiza. There is ample parking available at the park, for 7€. By Train: Pairi Daiza is within walking distance of the Cambron-Casteau railway station on the Mons-Ath line. For full details on the advantages of the season pass click here. 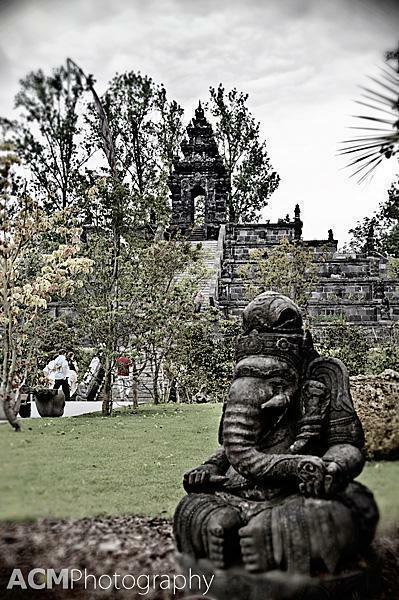 Take a tour of the Pairi Daiza Park through our photos on our Facebook Page.